The UKs largest accredited listing of psychotherapy and counselling training providers. The London Centre for Psychodrama Group and Individual Psychotherapy offers services in London to the general public and to people in many areas of work including mental health, criminal justice, social services, counselling, youth work, substance misuse programmes, the public and voluntary sectors, schools and universities, therapy and helping professions, business and industry. In the early 1970s, while working as a technician and yoga/dance teacher at a short-term psychiatric hospital, Pat Ogden became interested in the correlation between her clients' disconnection from their bodies, their physical patterns and their psychological issues. Before the Diagnosis of Post-Traumatic Stress Disorder was included in the Diagnostic and Statistical Manual of Mental Disorders (DSM), Dr. Ogden recognized first-hand the way in which many of her patients were at the mercy of reliving the past, and that current treatment methods only seemed to trigger traumatic reminders. 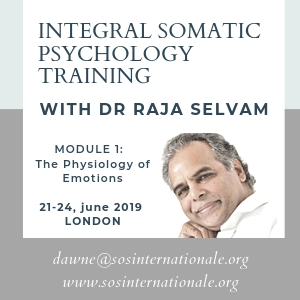 Recognizing the link between the body and psychological issues, she began to form the foundations of Sensorimotor Psychotherapy® by joining somatic therapy and psychotherapy into a comprehensive method for healing this disconnection between body and mind. In 1981, after co-founding the Hakomi Institute, pioneered by Ron Kurtz, Dr. Ogden founded her own school, a branch of the Hakomi Institute, which is known today as the Sensorimotor Psychotherapy Institute (SPI). PODS believes that recovery from dissociative identity disorder is possible. Since 2010 we have delivered over 120 training days to more than 13,500 people on the subject of trauma, dissociation and abuse. Our Centre is recognised internationally as one of the leading centres for work that focuses on the role of the unconscious mind in mental health, as well as in culture and society generally. Motivational interviewing (MI) was developed by William Miller & Stephen Rollnick in the 1980s. It is a conversation or counselling style for helping people to face change and make plans to succeed. It is being used worldwide in diverse settings, including mental health, addiction, health care, offender management, schools, social care and sport. Published randomised trials involving MI now exceed 1000. Stephen Rollnick has been running workshops in Cardiff for over 20 years, designed to ensure a lively and interesting opportunity to develop skills with colleagues from diverse settings. For over 20 years, The Wimbledon Guild Counselling Training have offered counsellors of every level the opportunity to learn new skills through our high quality CPD Training Events, Courses and Workshops. We choose high quality speakers and will frequently look for topics that have cross modality appeal. ESTD-UK is a professional network consisting of UK members of the European Society for Trauma & Dissociation (ESTD). Bodynamic is a precise and practical approach to working with the body to make verbal psychotherapy more efficient and effective. This somatic therapy enables the practitioner to make precise interventions related to the developmental origins of your clients’ current problems. Access your Training Organisation account to add or amend events. Keep up to date with regular psychotherapy news and resources.